Small bean-to-bar makers generally source cacao with distinctive flavor characteristics (and often, unfortunately, flaws) that persist, through minimalist processing, in the finished chocolate. But each Mast Brothers bar had a flat, roasty, anodyne flavor typical of industrial manufacturers using bulk cacao from western Africa. More suspiciously, the texture was as smooth and slick as store-bought couverture from a multinational behemoth, which is unimaginable from a small maker using tabletop stone grinders. If the Mast Brothers did make that chocolate, I had never seen such a perfect mimic of blandly competent middle-market industrial chocolate before, nor have I in the nearly eight years since. Since so little is known about the equipment the Masts might have been using, no firm conclusions can be drawn from their apparent success in meeting heavy, media-driven demand and supplying numerous wholesale accounts from an incommodious apartment kitchen or a 300 square foot loft. However, their vast product line through this period raised eyebrows, at the time, and remains difficult to reconcile with bean-to-bar production. Every distinct type of chocolate requires making a batch. Making a single batch can tie up a melangeur for days. This is why most craft chocolate makers have a fairly limited range of bars available, often no more than a handful. 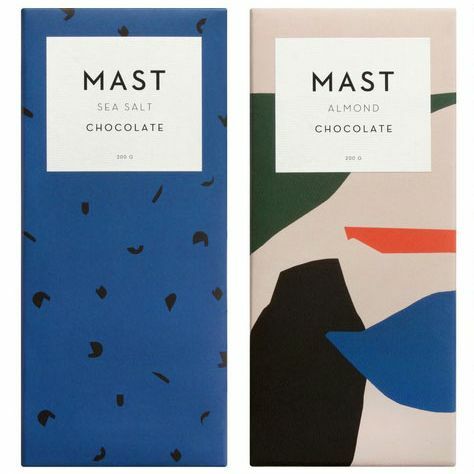 Throughout 2008, the Mast Brothers were typically selling between ten and fourteen different types of bars, using many distinct types of chocolate. They almost always sold milk chocolate, sometimes without specifying the percentage of cacao solids, sometimes as 60%, sometimes as 65%. Through the first half of 2008, they sold a white chocolate bar. They sold bars of unspecified cacao origin, sometimes with unstated percentage, sometimes at 70%, 72%, 75%, or 81%. And they sold single-origin bars with cacao from Ecuador, Madagascar, Venezuela, Dominican Republic, and Trinidad, in a range of percentages (64%, 66%, 70%, 72%, 75%). Without a fleet of grinders (such as the Masts began building up from mid-2009) working around the clock, it’s hard to envision how the Masts could make the number of batches required for the variety of chocolates they were selling; and their cramped quarters would not have accommodated that much equipment. According to the Dallas blogger, a big change occurred around 2009, when the Masts’ chocolate was advertised as specifically made with Madagascan or Dominican cacao. Many experts then noticed a sharp decline in quality: “It appeared as though the Masts were finally delivering on their bean-to-bar claims,” but … “the texture was coarse and muddy.” The conclusion drawn is that the quality of the chocolate diminished because the Masts finally had begun to deliver on their bean-to-bar promise. Sorry that you liked our chocolate more in 2007 than in later years. Those were fun times, filled with experimentation and constant learning as we honed our craft out of our apartment. Needless to say, we were then and are now a bean to bar chocolate maker. I didn’t take the interview because my brother and his wife gave birth to a beautiful baby girl and we were otherwise occupied. More chocolate, and more love, please. This post has been updated to include Craig’s last name, which was previously unknown.